Q: What’s your earliest food memory? CJ: Young and microwaving pizza. Q: Who has influenced your cooking the most? CJ: The internet and travel channel. I enjoyed watching Andrew Zimmern on Bizarre Foods and Anthony Bourdain on No Reservations. Q: What’s your favorite go-to ingredient? Q: What are some of your signature dishes? CJ: Cajun chicken, coleslaw, collards, Guinness beef stew and green curry. Q: What did you choose to make for Wine Down Wednesday? CJ: Peruvian tamarind citrus chicken over amaranth with tres leches for dessert. Q: What was the inspiration for the dish? CJ: Gas station chicken place that does Peruvian chicken off St. Johns. Q: If you could cook a meal for anyone, who would it be? CJ: Chris Farley, he would be a fun guy to eat a ton of food with. Q: Dumbest thing you’ve ever done with food or in a kitchen? CJ: When I was sixteen working in a pizza shop. My coworkers made garlic and cinnamon sticks. We also made garlic chicken wings and thought it was a great idea to make cinnawings and dip it in frosting. It sounds worse than you think. Q: What would we find in your kitchen at home? CJ: Lots of hot sauce, apple cider vinegar, and grape seed oil. CJ: First time I had tacos in Austin. Q: What food is your guilty pleasure? CJ: Ketchup and Mayo too much. Also, meat sticks, gas station meat sticks. Q: What’s your last meal on earth, if you had the chance to choose? CJ: Gyro, fries and General Tso’s chicken. THANK YOU to the quorum of Black Star Member-Owners who gathered at the Co-op for the Fall 2018 Member-Owner Meeting last Sunday, October 21st. After some rousing Co-op trivia, we kicked off the meeting with introductions from the current directors and with speeches from the four candidates running for the board: Beth Beutel, Roger Corrales, Graham Green, and Marcus Wilson. They represent a fantastic mix of experience and fresh perspectives. To summarize their stump speeches, Beth loves co-ops, Roger loves/lives worker self-management, Graham loves beer, and Marcus is lovable. Read their candidate questionnaires on the blog (you’ll need to scroll down) and VOTE for your favorites here! From there Beth Beutel, Black Star Co-op Board President, reviewed the priorities and accomplishments of the board so far in 2018. She highlighted an increased focus on board training, the implementation of a more rigorous policy review process, and improved Worker Assembly (WA) solidarity. Chris Byram, Black Star Co-op Board Staff Liaison, provided a retrospective as the most tenured member of the WA and described 2018 as a “breath of fresh air” compared to the financial struggles of early 2017. He thanked everyone for their continued patronage and reminded them that the Co-op exists to support the Member-Owners. We wrapped up the Member-Owner meeting with a Q&A session that covered topics including Member-Owner outreach, the upcoming lease renewal, the improved parking situation, and yes, when chili would be back on the menu. Thank you again to the Member-Owners who took the time to support their Co-op and join us for a beer or three in the sun last Sunday! 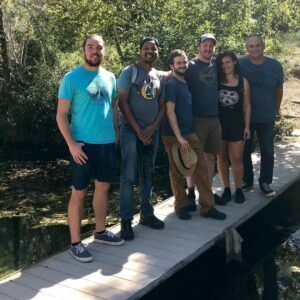 In late 2017, Black Star was asked to donate a keg to an event on the UT campus called “Sustainability on Tap” where grad students would have 3 minutes to present information about the sustainability research projects they were working on. We were immediately intrigued since this seemed to fall right in line with our values at the Co-op, so we agreed to participate. 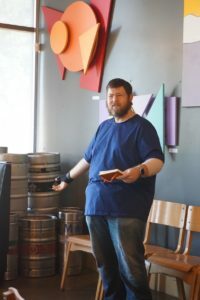 The first event was a blast, we even got an opportunity to speak about our own sustainable efforts at Black Star as the 1/4 barrel keg of Vulcan ran dry within the first 45 minutes. The second event went even better than the first. This time it was hosted in a suite within Darrell K Royal football stadium, and we came better prepared with 2 kegs of beer. After all of the presentations were completed we were approached by one of the students about their project, Blue Index. If you like water, you will love this program. Kevin Jeffery, the creator, has set up 30 stations at different bodies of water across Austin. Each station has a metal stand to place your cell phone in to take a picture of the area. You then rate your feelings at the waterscape (serene, calm, excited, etc.). The data collected will then be analyzed and presented to the City of Austin in an effort to suggest areas of improvement, as well as provide information on its successes. After giving us a run down of his intentions with this program, Kevin asked if we would be interested in partnering up to brew a water “cause beer” later on down the road. Of course we were stoked to do this so we planned a meeting to spitball about potential ways to make this happen. about starting another water conservation/preservation organization (all the ‘ations) called Texas Brew Shed. Needless to say, it was pretty cool. We are now in the process of setting up several events leading up to a beer release including a few watershed focused events held here at the Co-op. As I write this we are 3 days into the Austin Water boil notice with no real timeline of when it will end, we are boiling water and giving it to businesses/families that do not have the capacity to do so, and rain continues fall. All of these things make our involvement in this cause extremely important and I am very honored that were asked to participate in such a cool idea. I urge everyone to check out Blue Index online and even go out to a few of the stations to leave your impressions. Kevin is looking to get 2,500 or more participants by mid-December, so go explore the city and experience some water that you may never would have gone to otherwise. The Board’s Annual Retreat: Fun, Work, and Teaming! 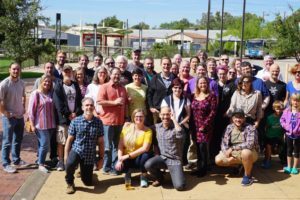 On Sunday August 19th, your Black Star Board of Directors took our annual pause from the monthly routine of Board work to focus on projects that require larger spans of time. This year, the Board has had a number of objectives: to ensure that every director was well trained for their role, to build alignment with the WA around our values and our processes, and to build a better team within the board itself. In case you haven’t been to a board meeting or checked out the meeting minutes, you should know that most Board meetings are primarily taken up with routine business, leaving previous little time for working towards these large goals. So our twice annual retreats in January and August are where most of the learning and teaming take place. Throughout the year, the Team Leader Council (TLC) has asked the Board for better and more timely feedback about the direction the business is headed. As lay-people, not professional restaraunteurs or brewers, we were unsure what type of feedback would be best, and our bylaws and policies indicate clear delinations between board and staff work.. But at the TLC’s request, and after learning of a collaborative board and management planning process at the consumer co-op conference this year, I worked in collaboration with Kyle, a director on the Leadership Development Committee, and Chris Byram, our Board-Staff Liason, to develop a retreat plan that would provide timely and appropriate director input prior to the begining of the budget and planning process. And, we wanted it to be fun. We organized the Retreat agenda to ensure we had a clear understanding of some key components of our business before we launched into planning activities. First, Greg Cumpton, Leadership Development Committee Chair, reviewed our Memeber-Investor Share Offering. Then Chris B, Andy, Jodi, Will, and Brian from the WA arrived as scheduled to see competitive reconnaissance reports from the Board. 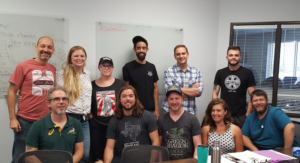 Our directors, and volunteer facilitator Kenley Maddux, presented on our homework assignment of going to one of six breweries around town to take photos, order food, note menu pricing, sample the beers, etc, and report back to the Board. We probably could have just looked at yelp reviews, but that wouldn’t have been as fun. Then, Chris Byram educated us all about living wage. He covered everything from several available models, the basis of their calculations, cost of living estimate sources, and the specific calculations for the Austin area. The Board and WA then discussed Black Star’s history with the living wage model and the values that guided us to chose the Universal Living Wage to list in our bylaws and the values that are now compelling us to examine possibilities for change. Dacia gave the Board a primer on how to have an excellent brainstorming session where we support each other and stoke each others creativity. Kyle then led us through a SWOT analysis of our strengths, weaknesses, opportunites, and threats, with workers participating. The workers then left, as some agenda items had run over time and several of the workers had other commitments. Directors soldiered on to grouping the post-it notes covering the walls; we recorded them and began noting affinities – areas where one point matched with another and made a clear inclination of a plan, and assigned Kyle to continue to find more. Later in the month, Dacia sent a survey where directors and workers were to rank “affinities” or general courses of action from 1-5; 1 meant not very interested in seeing that action taken, and 5 meant very interested that action. Results were submitted to the September meeting and discussed by the Board. We intended to chose three courses of action, but two of them had exactly even scores, and we agreed four was also a reasonable number. The board concurred that Chris Byram, as our Board-Staff Liaison should take the top four items to present to the Workers Assembly for consideration as they make their business plan, which will be submitted to the Board at our next meeting. We hope you’ll join us at our bi-annual Members Assembly meeting on October 21st from noon-2pm at Black Star to hear a little more about what the board is working on and participate in a fun activity to give your feedback about the future direction of the co-op! If this process sounds interesting to you, we’d like for you to know that there are open seats on the Board of Directors, and you are more than welcome to attend our next meeting on Sunday October 28th from 10am-1pm, and/or email the Leadership Development Committee at ldc@blackstar.coop for more information about being appointed to fill a vacancy on the Board. Q. What’s your earliest food memory? CT: Eating pickles at the bar of my grandparent’s restaurant. Q. Who has influenced your cooking the most? CT: Both of my grandmothers. Q. What’s your favorite go-to ingredient? Q. What did you choose to make for Wine Down Wednesday? Q. What was the inspiration for the dish? CT: The colors of Autumn. Plus, these are some of my favorite ingredients. Q. If you could cook a meal for anyone, who would it be? CT: I would cook for my grandmas as a thank you for cooking for me all those years. Q. Dumbest thing you’ve ever done with food or in a kitchen? Q. What would we find in your kitchen at home? CT: Lots of fresh herbs, spices, mushrooms and pickles. CT: A Giant Bloody Mary. It came with onion rings, celery, olives, peppers and it was about the size of me. Q. What food is your guilty pleasure? Q. What’s your last meal on earth, if you had the chance to choose? For those of you who read our last article on our GABF trip, I will pick up where I left of and try to recall a handful of details. We set out on this year’s festival adventure with high hopes and optimism when we entered our 4 beers into the largest beer competition in the United States. 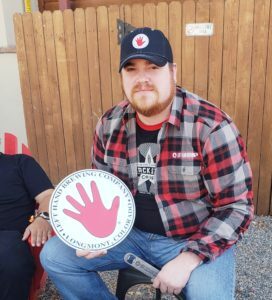 Unfortunately, competition was stiff with over 8,000 beer entries, and we did not have the privilege of earning a medal in this year’s awards ceremony. We did, however, manage to have a great time chatting with folks and pouring our beers at the festival. We arrived at our aforementioned undersized AirBnb on Wednesday night and began to unpack and get settled in. Thursday morning, we headed to the Colorado Convention Center to pick up our badges and set up our booth for the festival. At 5:30pm the first session started and we were immediately overjoyed by the attention we had been getting for Island Baby from surrounding brewers/volunteers who had tried it. Within the first 30 minutes we had several people who had been specifically pointed in our direction to try the beer as well as a few repeat tasters. On Friday morning, we headed out to Boulder, CO to check out some OG craft breweries, Avery and Left Hand. Our solo kitchen team worker, Kyle, just happens to be the biggest Left Hand fan there is so needless to say he left with a mountain of merch and a belly full of stouts. We then headed back to town and went to grab some lunch. I would not feel right if I didn’t give a plug here to a little place called Bourbon Grill, located on Colfax road in Denver. This spot is one of my favorite places ever, serving up bourbon chicken, nuclear orange mac and cheese about the slowest service imaginable. If you are ever in town, do yourself a favor and check it out, you might regret it. Where was I? Ah. That evening we headed back to the festival and poured at the evening session until 10pm. Saturday morning ended up being a little hectic since our Uber driver decided to sit downtown for 10 minutes before heading our way, which lead me to just cancelling the ride, driving us downtown and paying $30 for parking across the street. We ended up making it inside on time and got situated for the 2 hour+ awards ceremony. Once we finished up in there, we headed again out to the festival floor and poured at our booth. At the end of the day Saturday, we were beat. We headed out for some drinks and food but ultimately headed back to the house fairly early to get some rest in preparation for the 16 hour drive home. Sunday morning we packed, cleaned and busted out of Denver around 9am. Fast forward to 2am Monday morning and we all made it back to Black Star safe and sound. We all lived happily ever after. The end. Q.What’s your earliest food memory? CK: Learning how to make eggs with my mom. Q. What are some of your signature dishes? CK: Japanese Curry and breakfast heart attacks. CK: Japanese Curry with chicken, carrots, potatoes, apples and rice. CK: I enjoy exploring different styles of curry. CK: So I was putting away some sheet trays on the speed rack. While doing so, I push out a different tray of hot chicken that took three days to prepare. I thought I was going to lose my job. Somehow I’m still here. Q. Is there an ingredient you use a lot that would surprise people? CK: Chicken fat. There is SO MUCH flavor in chicken fat. CK: Irish coffee milkshake…stupid delicious. CK: Pizza or Bavette. Let’s see what’s available. Check out Chef Kyle’s Japanese Curry for Wine Down Wednesday on October 3rd! CP: My grandma’s stewed apples with cinnamon. CP: Kevin Gambino. He’s a badass chef from NOLA I worked under for a year. Taught me a lot versatility. CP: Potatoes …or sweet potatoes. CP: Breakfast, pan fried chicken, salmon with collards and red onions. Also anything with pasta. CP: I have a whole meal planned. The appetizer will be Heart of Palm Salad, the entree will be Vegan Lasagna, and for dessert a Spicy Brownie. CP: The Heart of Palm was inspired by working with Kevin Gambino, and the vinaigrette I’ve come up with recently. The lasagna, well, I love pasta so lasagna was an easy choice. Lastly the spicy brownie just came me and I’m excited to make it. Q. If you could cook a meal with anyone, who would it be? CP: Francis Mallman, his style of cooking with fire tribal methods. I would enjoy being a student of his. CP: I hurt myself once a week. Whether it’s a nick, burn, dropping something… it’s just always something. CP: Fish sauce in non-asian cuisines because of how it neutralizes the tones of certain ingredients. I find it interesting. CP: Tons of onions, potatoes and fruit. Also spices and fresh herbs from my yard. CP: Anything cooked in a skillet while camping. CP: All the sweets. I have a huge sweet tooth! CP: Well cooked seafood. A mixed entree of salmon, crab and lobster. Also for dessert I’d like a blackberry cobbler. You can enjoy Chef Phil’s 3 course vegan menu on Wednesday, October 31st for a very special Wine Down Wednesday! Why are you interested in serving on the Board of Directors of the Co-op? Three years ago, I ran for the Board hoping my knowledge and experience would make me a productive director. My time on the board reminded me of a lesson I learned from gardening: to help something grow, you just have to give it enough regular attention over a long enough period of time. You just keep showing up. My experience with the Board shows that Black Star needs someone with a steady hand to keep showing up. So here I am, with three more years of experience and learning, showing up to do the work of making Black Star a better place to drink, eat and cooperate. What goals would you like to see Black Star Co-op achieve in the next year? Five years? In the next year, I would like for the Board and the WA to gain clear alignment about the business’ goals and to implement practices which will ensure that alignment outlasts any particular individuals. The years ahead will contain plenty more challenges; the leadership of Black Star Co-op needs to be prepared to face them and make bold business decisions quickly. In the next five years, I would like to see: growth in the sales of the cooperative; regular, steady growth in the number of co-op owners; and increasingly savvy, professional management and board whether through training investment or new recruits. What qualities and past experience do you have for serving on the Black Star Co-op Board of Directors? For the past three years, I’ve served on the Black Star Board. For the last two, I served as Board President. I served as a member of the Leadership Development Committee, and the Outreach Committee. I also chaired the Bylaws Review Committee in 2016 and the Ends Committee in 2017. Additionally, since 2012, I’ve been employed as the Board Administrator at Wheatsville Co-op, where I’ve had a front row seat to excellence in governance using many of the same practices and procedures employed at Black Star. Name one way in which you’d like the Black Star Co-op Pub and Brewery to stand out from other local brewpubs. The thing that already sets us most apart is our values as a community and how we model those values in the world. 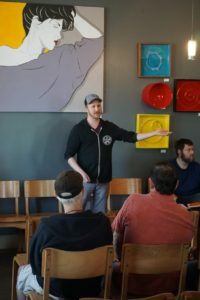 An increased focus on telling the story of how our community owned brewpub is making an impact for us would help attract more like-minded people and help us keep the ones we have coming back. What is your favorite Co-operative Principle and why? Principle 6: Cooperation amongst Cooperatives is my favorite principle. Around here, there aren’t many cooperatives in competition with each other. But even in places where you can’t swing a cat without hitting a co-op, you can find cooperatives in the same line of business finding ways to work together to help both better serve their communities. Seeing Cooperation Amongst Coops in action shows me a world where success is not a zero-sum game, where we hold each other up, celebrate each other, learn from each other… It’s the kind of world I want to live in. Being a part of the Workers Assembly I want to continue to see the success of Black Star Co-op. 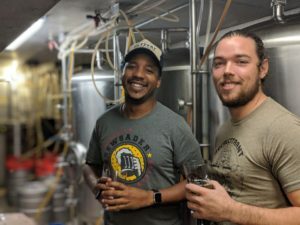 I believe having a voice from the WA will help to give further insight into keeping Black Star Co-op a well-known brewpub in the climate of the growing craft beer industry in Austin. Next year I would like to see four profitable quarters. In 5 years I would like to a totally remodeled interior and a heavily participating members assembly. I currently work on the business team, pub team, manage the guest beer and wine programs. I have a fair understanding of how Black Star runs and I want to bring my experience to the board. I’d like us to be known as a brewery that does well curated events for our community. When I moved to Austin 6 years ago from England, I was worried that Texas would all be big hats, Bud Light, and sports bars. I spent my first year living in Midtown Commons and Black Star played a huge role in educating me that Austin is a little different, that American beer has more to offer than what is exported, and that good pubs are not unique to the UK. I still live in the community (Brentwood neighborhood) and would like to give something back to a place that has given so much to me. Austin is an increasingly competitive market for brewpubs. In the next year I would like to see Black Star thrive, without compromising what makes it special and unique. Unlike other privately-owned enterprises, Black Star prioritizes both its workers and patrons. I would like to see Black Star elevate this as a differentiator, inspiring regulars and newcomers alike to become members and growing its position in the community. Austin will undoubtedly be a different place in 5 years. Black Star must focus on maintaining its core values whilst not being afraid to adapt or expand its role where the conditions demand it. By profession, I am a marketing strategist. When not at the office, I can be found either drinking beer or brewing it. 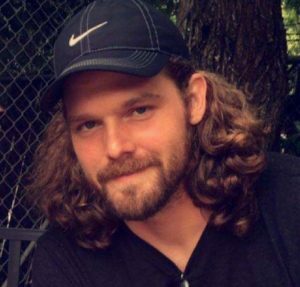 I would bring a combination of business skills that I practice every day at a large Austin-based technology company, with a passion for social spaces and delicious beer. My own brews cannot compete with Black Star’s, but I’m always happy to discuss/share my latest batch. I have a natural tendency to be the “organizer” within a group, encouraging involvement, driving consensus, and then evangelizing ideas and taking action. 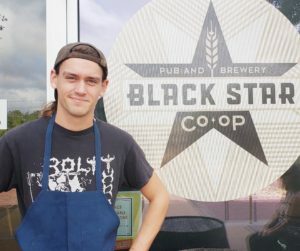 Black Star is unique because of its people (staff, members and patrons). You come to Black Star to spend time with your friends, maybe make new friends, drink a pint or two of quality beer, and go to town on the most garlicky chips in Austin. Black Star is a place when people are valued, conversation is prioritized, and you feel like more than just a customer. By focusing on the people that make Blackstar great, it can stand out from any other BrewPub in town. 4th Principle – Autonomy and Independence: Commercialism has driven great advances in the world, but big chains can at times make “greater good” decisions that come at the expense of individual or local needs. With autonomy in governance and decision making, Black Star can make tough choices to benefit the workers, the community, and what the members believe is right, rather than to support an outside agenda. The co-op model where members come together to make decisions is increasingly rare and should be protected. Black Star is a cooperative, and to me that means that all of its membership pitches in when the Co-op needs us. At this point in time I feel strongly that I can continue to make contributions to the Board of Directors and to our Co-op. Seeing into the future is always a bit difficult. In the next year I would love to see the staffing issues at the Co-op stabilize and our patronage rates go up. Within five years I think that we could see a real turn around. With the planned growth in the neighborhood we are in a prime retail location if we stick it out. I’ve been the Secretary and a Director on the Board for the last 3 years. I know Black Star very well. Worker treatment is something very near and dear to my heart. The Workers Assembly already makes us different. I’d love it if we could somehow let the world know how special that is. 2nd Principle – Democratic Member Control: Democratic Member Control is my favorite, because it puts the power of the organization squarely in the hands of its membership. If someone is unhappy with their co-op then it’s totally in their power to change that. It’s very empowering to me when I read that. 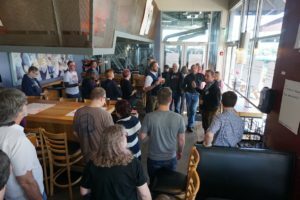 As some of you know, most every year Black Star sends a group of employees up to The Great American Beer Festival in Denver, CO. We will be doing this again in September and I figured I would detail a bit of the experience in case anyone is interested. On September 19th at 5am we will be loading up a Dodge Grand Caravan rental with 6 Black Star employees and their luggage. We then drive 15 hours, through mostly unscenic West Texas, and arrive at our AirBnB with enough time to drink a couple of beers and pass out in a somewhat tolerable sleeping configuration. The first session of the festival starts at 5pm so the early part of the day consists of checking in, grabbing badges/swag and setting up our booth to pour beer. When the session begins we have most of the crew at the booth to get a feel of how the pouring works. Luckily we are staffed with a couple of volunteers in case we want to roam around the festival ourselves and check out some of the 4000+ craft beers from around the country. After the first session is completed we go out and attend some of the industry parties (usually sponsored by different grain/hop/ingredient suppliers). Friday consists of two sessions; one at 12-4pm and one at 5:30-10pm where we pour and talk with people about our beers, rotating folks out periodically to keep things fresh. Saturday is the big day at the festival. While GABF is the largest beer festival in the country, it is also the largest and most prestigious beer competition and Saturday morning is when the awards ceremony is held. Imagine thousands of hungover brewers in an auditorium at 10am sitting down for 2 hours. To say the least, it’s rough. Once the awards are given, all the brewers rush out to their respective booths to pour for the first of 2 Saturday sessions. The first session is by far the most exciting session of the festival, especially if you just won an award in the ceremony. Speaking of awards, we are entering 4 beers this year that we feel very confident about and are excited to see what the judges think. Our line up is Recalcitrant Dockhand, Island Baby, Roze Sap, and Waterloo. We put a lot of thought into these entries and think they fit into their respective categories pretty well. I digress. 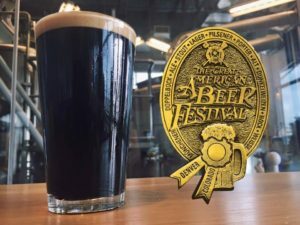 The last session of the festival starts at 5:30pm on Saturday and is usually one that is filled with last minute ticket buyers who want to drink as much beer as possible. Needless to say, we are usually pretty burnt out at this point. Once the session is over we pack up our booth and head back to the house to get ready to wake up refreshed and drive home in the morning, and definitely do not regretfully go out and party into the wee hours of the morning. Sunday morning we wake up, load the van once again and head out on our 15 hour descent into Austin which is exponentially less fun and exciting than the drive up. We usually arrive around 3am, unload the van, go home, sleep for a few hours and go to work. Whew. Just typing that gives me anxiety but I wouldn’t want it any other way. 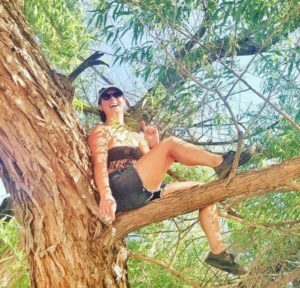 This trip is usually a highlight of the year and is a lasting experience for everyone who has been. Stories of years past are brought up every month or so and we intend on adding to the repertoar this year. 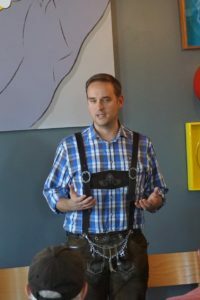 I hope that gives some sort of insight into the madness of the GABF experience. We will be sure to give an update once we get back if it doesn’t make me twitch recalling it so soon. © 2019 Black Star Co-op. All Rights Reserved.